How is your holiday season so far? My kids are on winter vacation, which means less activities and more quality family time. We finally have the Christmas tree and holiday decorations up and it officially feels like Christmas in the Kim family household. 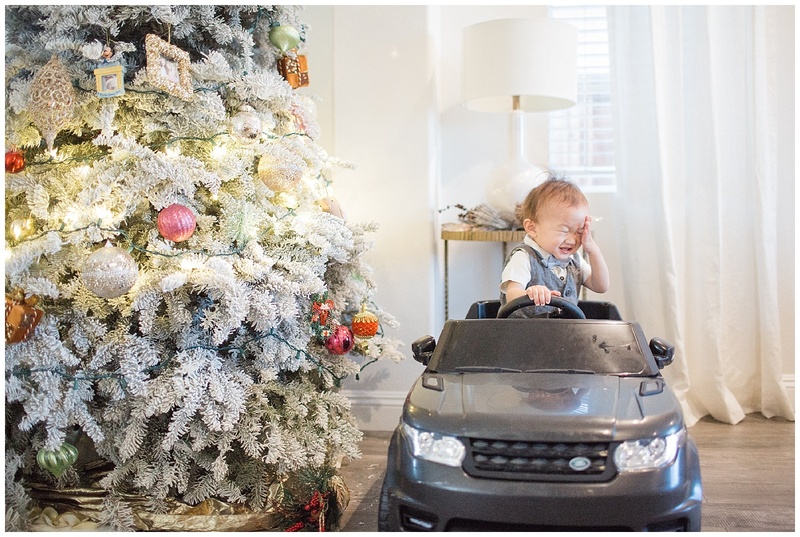 Baby D is 17 months old now, which means this is the first Christmas when he is actually aware of his surroundings. 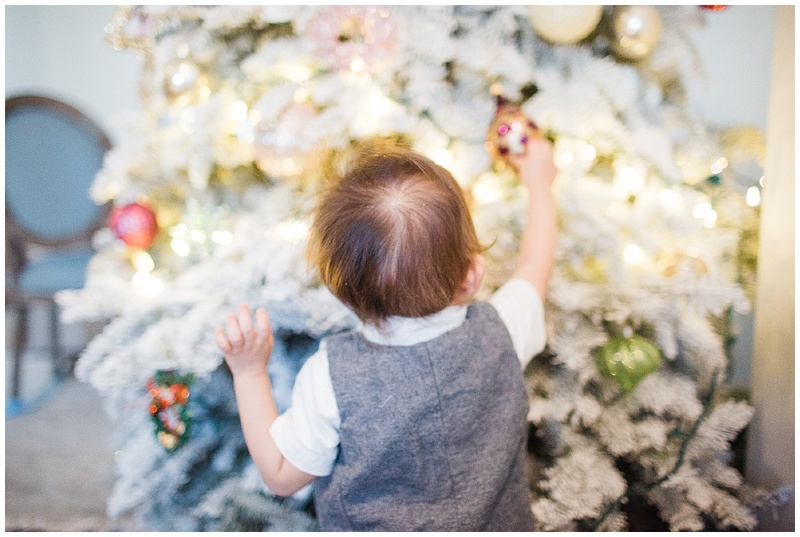 He is mesmerized by the Christmas tree, the lights, the ornaments and all the gifts under the Christmas tree. It brings me so much gratitude to witness the joy and wonder in his eyes and I’m reminded again how special this time is for all of us, especially our little ones. After two daughters, I’m having so much fun dressing up a little boy. Boys may not have as many choices when it comes to clothing varieties as girls, but there are many creative ways to dress up little boys especially as the weather cools. This year I’m dressing him up in various OshKosh winter outfits that are perfect for the season. 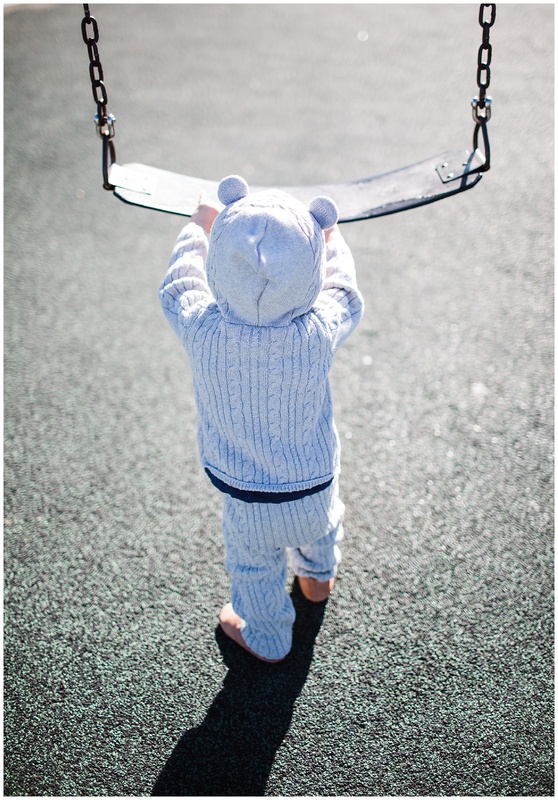 I love OshKosh clothing because they are stylish and comfortable, perfect for layering and playing for active little boys. 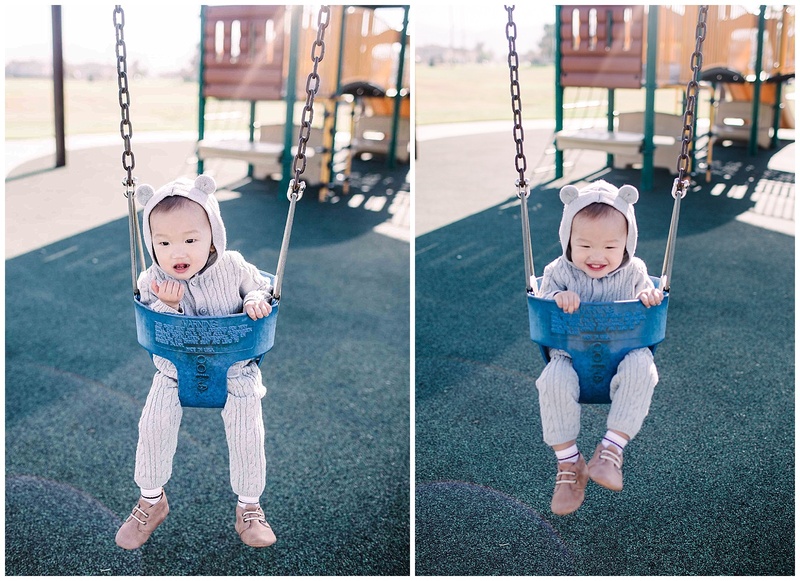 I also love its wide variety of clothing, from dressy holiday outfits like vests and suspender pants to casual knit outfits like this cozy bear one. Isn’t it so adorable? Raising a boy is different than girls in many ways. I’m sure gender disparities vary between each child but one thing I know is that Baby D is a lot more active than his sisters ever were. 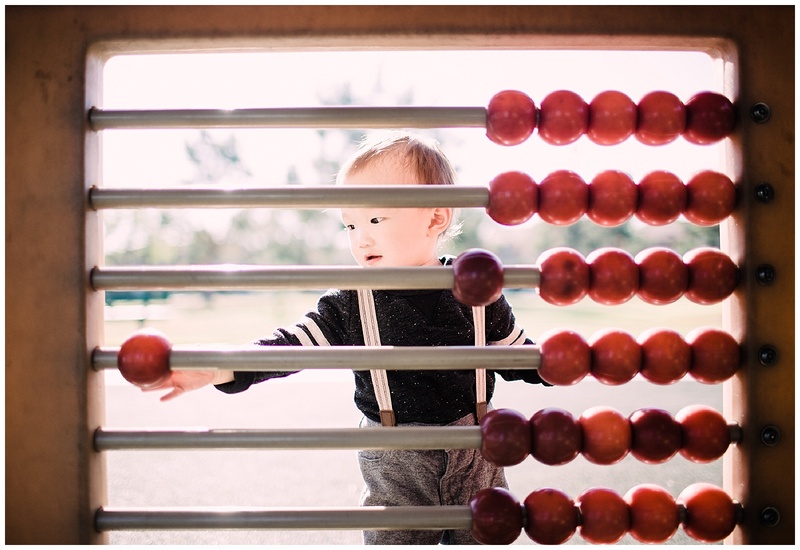 He’s also much more curious and always on the go, only stopping to focus on whatever is grabbing his attention at the time until the next thing comes along. 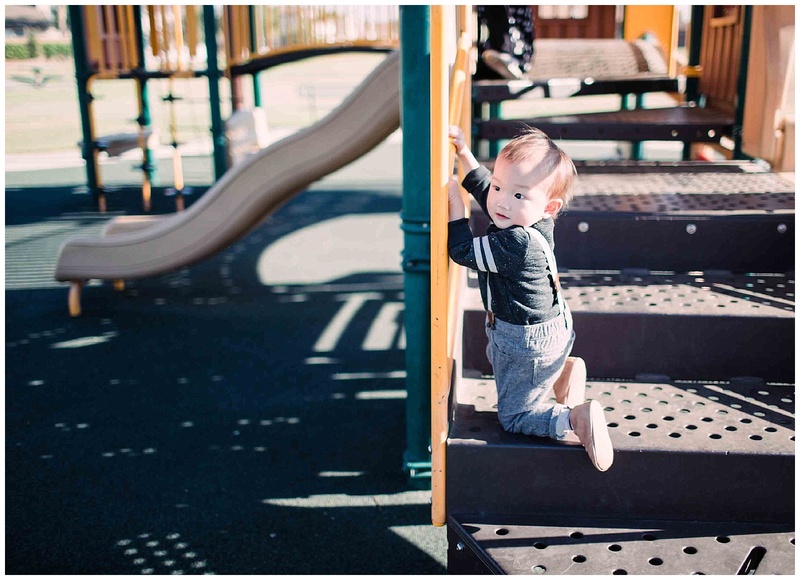 At 17 months, he’s already a brave little climber. 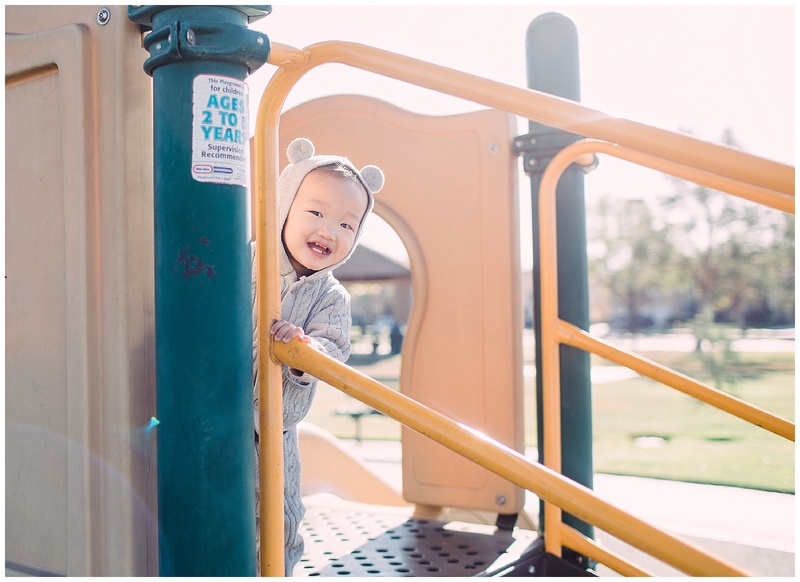 It’s no surprise that his favorite word right now is “up.” He climbs onto everything, including step stools, computers, chairs, toy cars- pretty much anything that allows climbing. Then he gets stuck and makes the cutest sounds to be helped down, only to climb again. Chasing him can get repetitive and physically tiring at times, but I remind myself to embrace this season of life as it passes quickly, right before my eyes. 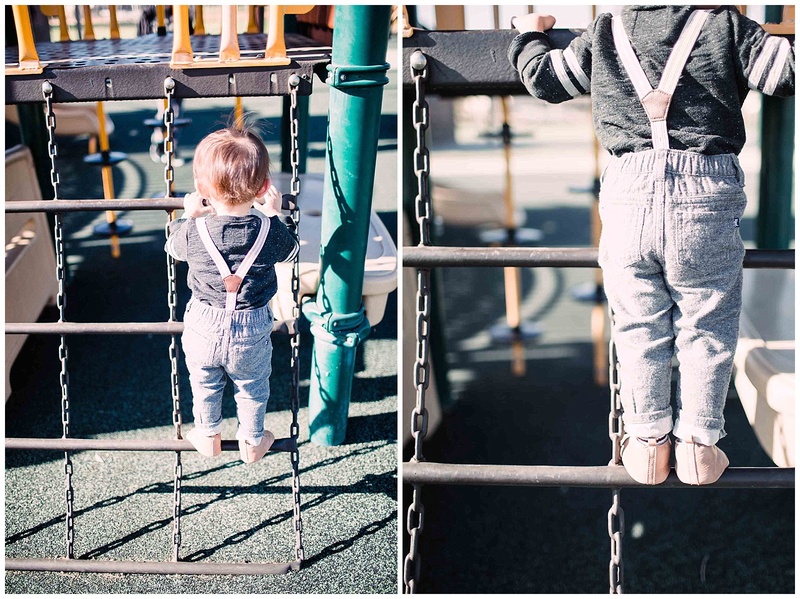 What’s great about OshKosh B’Gosh clothing is that it allows plenty of room for movement without sacrificing style. Who knew boys’ fashion can be so much fun? There’s a huge storewide and online sale going on for the holidays so be sure to check out their website. You can also locate your nearest store here. Use these coupon codes for an additional discount! In-Store: 037264 Online Code: OKBG3418. 20% off purchase of $40 or more. How are you spending the holiday season with your loved ones? Please leave your comments below! 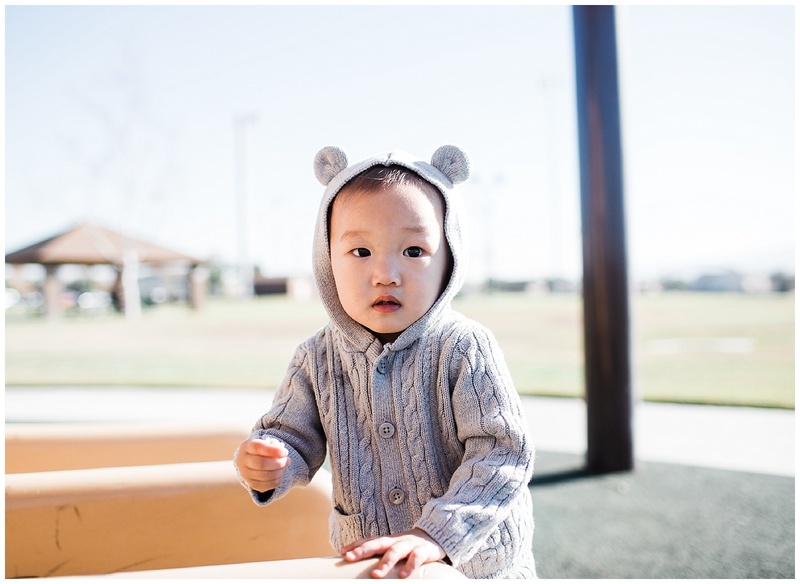 Oh my goodness, that little bear ear sweater set. LOVE!